HISTORIC BLIZZARD CONQUERS COLORADO & CENTRAL PLAINS. 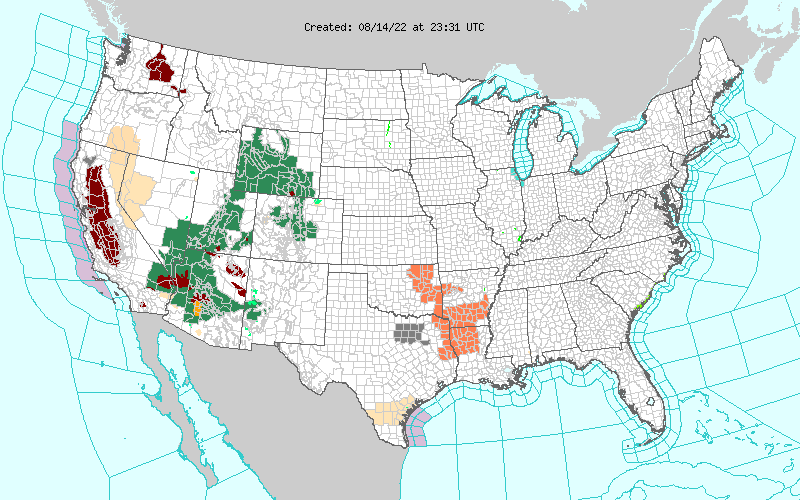 BLIZZARD WARNINGS IN SEVEN STATES. MAJOR ROADS TO DENVER CLOSED for over 100 miles. PEAK WIND GUST OF 97 MPH IN COLORADO SPRINGS, lowest air pressure of 969 millibars in a central U.S. storm since 1973. 1,100 PEOPLE STRANDED ON ROADS, IN JUST 1 CO. COUNTY! WIND GUSTS OF 70-90 CONTINUE INTO THE EVENING. FULL DETAILS AT KKTV local news in Colo. Springs. Why is Colorado important on this site and to our team? Because this storm is directly impacting many families of those we all know there, and is also affecting one of our largest advising clients in that region. If your company or organization wants to benefit from our dedicated forecast services before weather disrupts your operations, visit our services page or contact us to dialogue about how we can help. 5:30 AM 3/4 This week, we stand with the thousands of volunteers, teachers, and millions of students nationwide in celebrating Read Across America in honor of the March 2 birthday of a humble author. 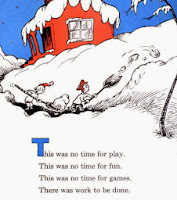 Given that on Saturday 3/2 our region was slightly distracted by how The Cat In The Hat Comes Back (in the form of snow), we chose to bring forward from our archives some of our favorite Seuss-themed stories to share with you in the post -storm period. It could be said that Mr. Theodor Geisel had one of the greatest impacts on student literacy in the past century. He quietly accomplished this by writing books which engage children and parents alike with entertaining yet thought-provoking "word-smithing." His effervescent style requires the reader to invest time in reading and carefully enunciating words from start to finish story so listeners can participate and understand. Dr. Seuss also taught us the passion of persistence. His first book, And to Think That I Saw It on Mulberry Street was rejected 27 times by other publishers before the Vanguard Press took a chance in 1937. Since then, the whimsically-themed books have become a mainstay of helping children learn how to enjoy reading, all over the globe. Would you, could you...do a forecast? What is "that" you might say? Why it's a real chance for you! Tell us your local weather, each day, it's true! to share their passions for writing, right here! to become a key part of our team. We monitor, collaborate and forecast, all over. Take a photo, write a story and say "here's me!" Because, as we say, we're local, nearby, yes indeed. We invite you to spin up your own "weather dance." Contact us right here, right now! * Don't delay. 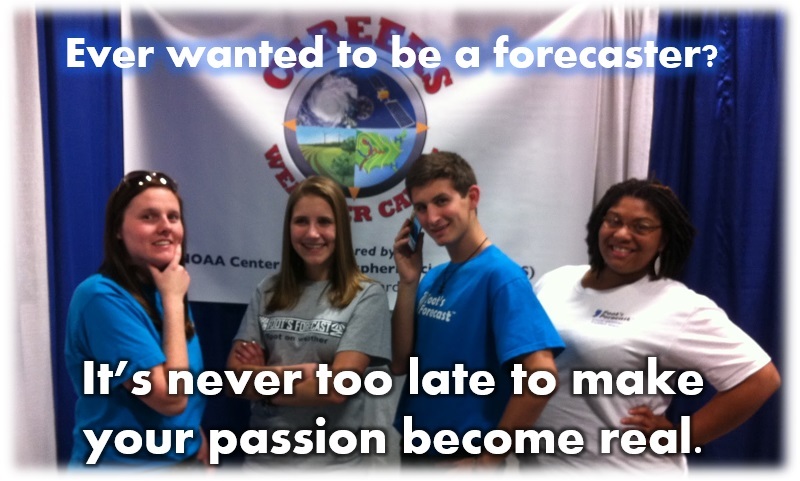 And before long, you'll be forecasting in great places...so get on your way! Send a simple email to team@footsforecast.org with your Seuss-theme weather report for your local area, your school or even for a whole region. We'll feature it in a special collection of forecasts here in the lead story and promoted in our Facebook pages! 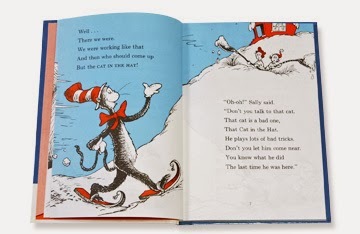 As part of our belated celebration of Read Across America, we surmise that some effervescent elementary teachers no doubt had an epiphany about the imagery featured in "The Cat In The Hat Comes Back." 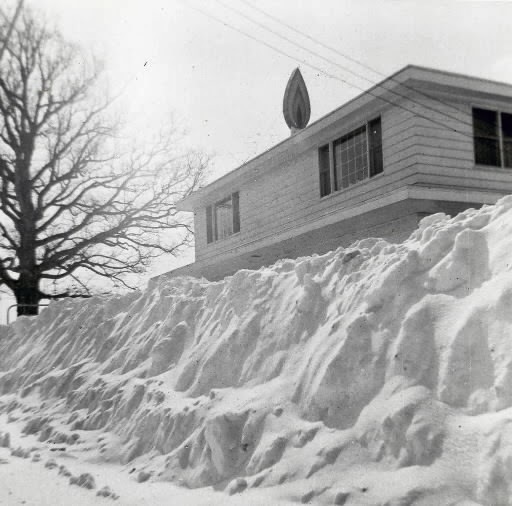 There is some climate history between the lines, and if you dig a little deeper into the records, there are some verrrryyy interesting correlations between why THIS story featured bucket loads of heavy snow. If you have the book at home, go get it, and take a look at the FIRST PUBLISHED date. That will give you a hint. We know it as the time-tested tale of two elementary school-aged children, a brother and sister, at home following a heavy snowfall. They have stern instructions from Mother to clear the sidewalks, "this was no time for play or fun, there was work to be done." Sure enough, "the Cat" returns to unleash another unwelcome barrage of disruption to the family's personal effects. In a valiant effort to clean up the interior evidence, the Cat and his little cat minions from A to Y inadvertently discolor the surrounding snowfall to a deep cotton candy pink. At this point, Mom is probably just getting off the traffic-clogged beltway to arrive home shortly. Her children are understandably in a dither. I would be. It's like not having the dishes done before the Mrs. comes upstairs from the laundry room. The saving grace is an impossibly invisible "little Cat Z" who possesses a magic formula-potion-chemical-something called "VOOM!" This peculiarly effective substance instantly cleans all the pinkified snow.. as well as renders clear the sidewalks and driveway, right before Mom returns. "And so," says the Cat, "if you ever have spots, now and then, I will be very happy to come here again." What are we saying?? Perhaps an early March warmup, however brief, will be just the VOOM! you need to clean up all the snow and ice. Just in time for the Cat to Come Back, like he did after the infamous late season storm of March 1958* to foment some youthful indiscretions upon unsupervised children. (Society was looser, or tighter, back then). Did you check the publication date of the book? Do you see the connection as to why Seuss spun a snow-splattered tale of two kids shoveling an unfathomable amount of the white stuff? In 1958? Because something happened that year...in that month. Could winter linger a lot longer than any of us even want to know?? Consider these projections from the NOAA Climate Prediction Center for the period March 8 to 13 (and even beyond that). Significantly deep and extensive snowpack for Canada and large parts of the Northern U.S.- which is further reinforcing the intensity of Arctic highs. "And this," says the Cat, "Is all I have to say about that." "IT CAN HAPPEN TO YOU..."
WET SNOW to overspread the region through afternoon, becoming heavy after 2 PM with snowfall rates reaching 1" per hour anytime after 4 PM in many locations north and west of the 95 corridor. HEAVIEST SNOW expected from 4 PM through 9-10 PM for areas south of the PA turnpike to just west of 95, then tapering to light snow until midnight. 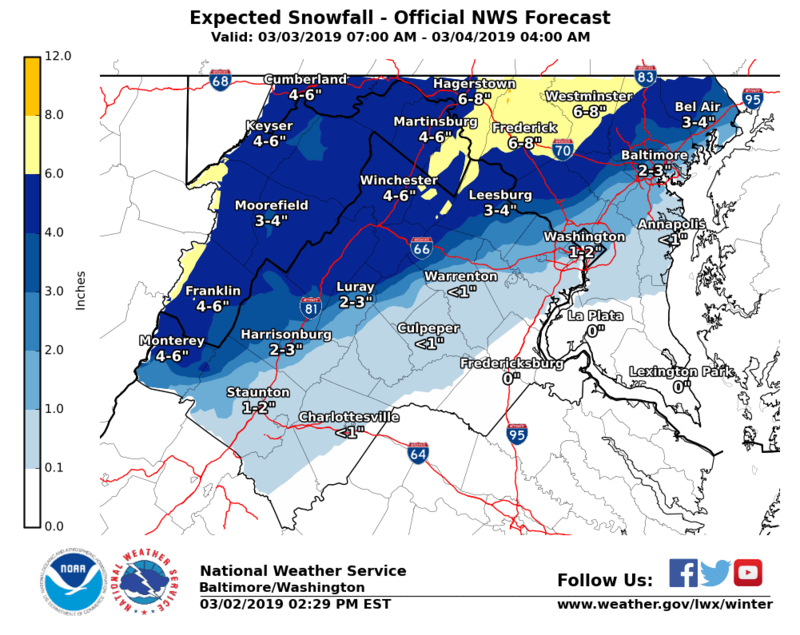 For areas south of 95 to the DC metro area / northern VA and southern MD, rain/snow mixed may briefly turn to snow/sleet toward evening, with 1-2" possible before ending. MONDAY COMMUTE? With widespread snow cover and a north wind after the system departs, we expect temperatures to remain in the upper 20s to 30 F through 9 AM, which may lead to refreezing until sun angle can warm exposed surfaces. WINTER STORM WARNINGS for western & northern MD from Sunday afternoon to Monday morning. WINTER STORM WATCHES for central & southern & eastern PA.
AREAS SOUTH OF I-70 TO THE BALTIMORE/DC METRO & 95 CORRIDOR, rain changing to snow by evening with 1-4" depending on location & proximity to Chesapeake Bay. COMPUTER MODELS: The GFS remains more consistent than the European with the colder solution for snow or a snow/mix. Several other models have come into line with the GFS, thus is the preferred projection as noted above. TIMING: Snow should be light for the first few hours, with sun angle reducing accumulation potential on most roads until after 2 PM Sunday. Morning snow showers are possible for a few areas but light rain/snow is expected to develop by Sunday afternoon. It could very well become mixed with snow or sleet at times as highs reach the mid to upper 30s, upper 30s to lower 40s south and east. The lower to mid-30s for our friends in PA.
FOR AREAS NORTH OF I-70 & west of I-83: Away from Philadelphia, Baltimore, Washington will see heavy snow developing by mid-afternoon. Up to 5" is likely and amounts may exceed 6" before midnight along the PA/MD line. FOR AREAS SOUTH of I-70: the Arctic air tries to push in from the northwest, rain could once again transition over to snow/sleet and freezing rain and begin to accumulate. As the song lyrics go, if cold air works into the region earlier than expected, heavy snow could shift south-- so yes, it could happen to you. PRELIMINARY SNOWFALL TOTALS: From I-70 south to I-95, 2-4" is possible Sunday evening into early Monday morning. From the 95 corridor south to US-50 in southern Maryland/DC region, 1-3" is possible. CONSIDERATIONS: A lot will depend on the temperature fall hour-by-hour overnight and also how much precipitation is still feeding into Maryland as the air cools to near-freezing. especially north and west of 95 as many could be traveling through at least a couple inches of snow and perhaps some ice. From this vantage point though, there's still much uncertainty as to precipitation type and potential accumulations. MONDAY: Clearing by sunrise, refreezing by evening. MORNING: Morning clouds giving way to partly sunny skies wind and cold. NW winds 20-25 mph. Highs in the upper 30s but falling through the day. NIGHT: Partly cloudy skies with lows in the upper teens to lower 20s. Mid teens for PA.